Every team has that one special jersey. In this post, guest writer Kieran Lang takes a look at which jerseys he thinks every fan of every team should own! To me, every Ducks fan needs this jersey. I am not even a Ducks fan and I own it. 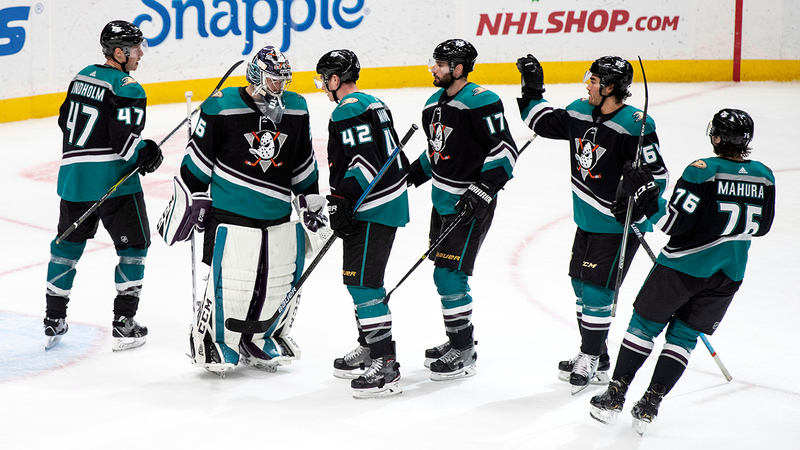 Everybody loved the old Mighty Ducks jersey and logo and the Ducks modernized it. Bringing back both the logo and the jersey style was a great idea, and as great as the eggplant color was, the black base with small additions of the eggplant color was a great move. 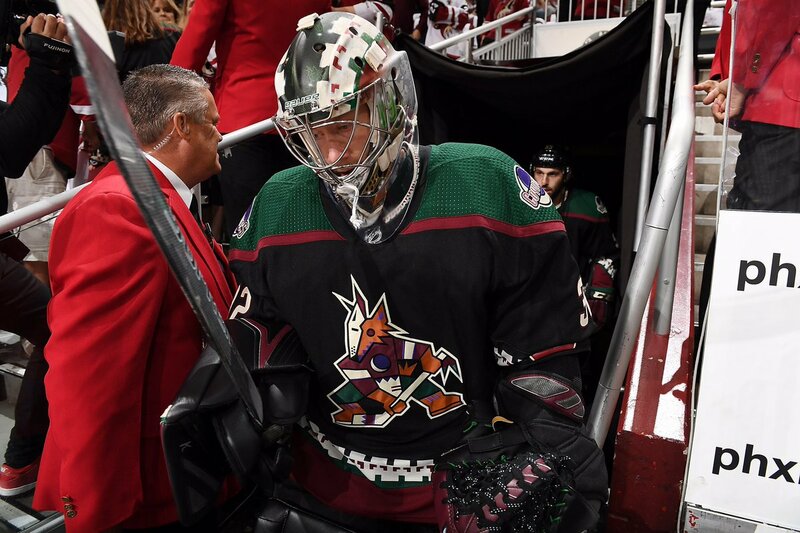 When Kachina got brought back, fans around the league rejoiced. These are the best jerseys in Coyotes history and really captures what the Arizona Coyotes and their state represents. They did not have to change anything to modernize it and it still looks as good as ever on ice. These jerseys truly are the best for this franchise. The Bruins did the same thing a lot of teams on this list did, took the past and modernized it. The use of just the “B” rather than just the usual logo was really cool in my opinion and I love the striping. Bruins fans can get a perfect blend of the historical past and promising future. The Buffalo Sabres have a history of incredible jerseys and, while the royal blue is amazing, the black and red buffalo head is the most intriguing and unique. This jersey always felt like it represented Buffalo in a great way as well as the Sabres. With the sword logo on the shoulders representing the Sabre name and the buffalo head to represent the city, it just all works together. The Flames brought back the retro look this year and for a lot of Flames fans, this brings back a lot of memories. The white “C” logo with the white and yellow striping all flows together exceptionally. The Flames have announced that they will wear these all throughout the playoffs on home ice. Often times in the past, teams who have done this have switched the next season to that jersey, so expect for it to happen once again. The original Carolina Hurricanes jersey is the perfect jersey for you if you are a fan of this team. They went to two Stanley Cup Finals twice and won one, it perfectly encapsulates the teams identity and history, and it is overall a great jersey. When you see these jerseys you do not even need to see the logo to know whose it is and to me, that is perfect. This jersey has gone without change for a long time now, back in 2010 the Blackhawks won the first Stanley Cup in their franchise since they last won in 1961. That is 49 years that saw a lot of almosts but no wins. Since their 2010 victory however, they have also won in 2013 and most recently in 2015. All three of those came while wearing these jerseys as their home ice jersey. This jersey wraps up a historical timeline and represents one of the most recent dynasties. Another Stanley Cup winning jersey. This jersey brings in what Colorado is most known for, the mountains of Colorado. The Rocky Mountains outlining the jersey ties together the state of Colorado into a jersey. The other major tie to the state is the maroon color. The Avalanche chose maroon because of the color of the state mineral, rhodochrosite, which is deep red. This jersey has so many ties to the state that I think every fan needs it. The cannon jersey is arguably the best jersey in franchise history. Some would even argue that it is the best alternate jersey in the league currently. The two tone blue, off white and grey is one of my favorite color schemes in the league. The cannon logo is incredible and really ties the whole jersey together. All of the colors with the logo brings life to the Blue Jackets name and should become the regular home jersey. Oh man, this jersey. Talk about a jersey that really goes along with the name of a team. I mean, the jersey is quite literally a star. Besides that fact that this jersey is a star, it fits the mold of the state of Texas and the fact that “everything is bigger in Texas” and I love that about this jersey. Easily the best Stars jersey. Maybe the most classic jersey in NHL history. If you are a Red Wings fan, you most likely own this jersey. This jersey is honestly beautiful and with it comes one of the most historical franchises in sports. This jersey is perfect for any Red Wings fan and just hockey fans in general. It is a simple, but historically great design. The reason I picked this jersey over any of the other many jerseys this franchise has in its history is because of the ties to the history of the team. This jerseys harkens back to the days of Wayne Gretzky, Jari Kurri, Grant Fuhr, Paul Coffey and many more great Stanley Cup winning players. The collar states “Once an Oiler, Always an Oiler” and that is one of the best inside the collar designs in the league. I think this is the Oilers best design in their history and it is a fan favorite as well. This was probably the most difficult jersey to decide on. The Florida Panthers are a relatively new franchise who have had a ton of new jerseys. This one, to me, is their best design. This was the perfect design for them as it was the perfect blend of all of their colors. The red as the base has usually been their go to, but this jersey has an even amount of blue and yellow as well within the striping. The Panthers are also one of the two teams in the same state as Disney World, so I think the more cartoon like panther is a great tie to that. The Kings used to represent the name of the Kings and its royalty with the color that best represents royalty, purple. The Kings used to be the most bold team in the league with their color scheme and it was the perfect fit. 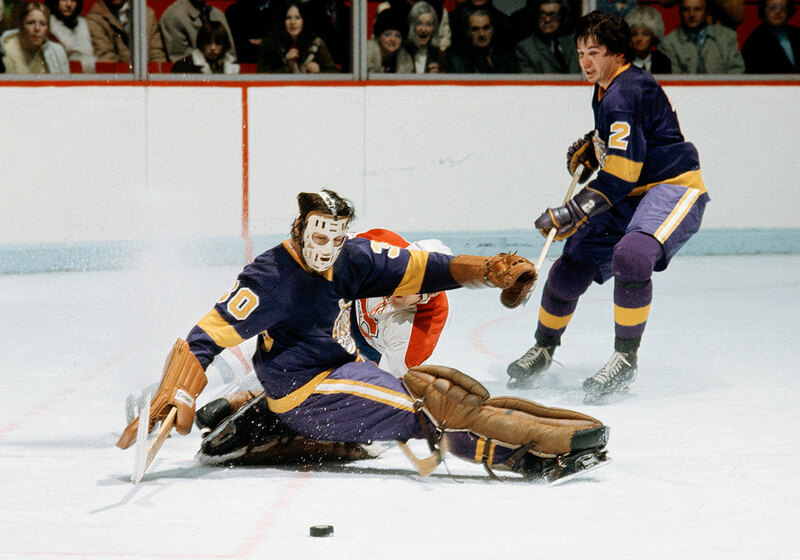 Whenever you hear the Kings are getting a new jersey, everyone is hoping for the purple and gold to make a comeback. This is the perfect Kings jersey. The Minnesota Wild had been searching for the perfect jersey for a long time and when Adidas came in, they finally reached that. For a long time their fans were clamoring for the green jersey to make a comeback as the main jersey. Finally, they got that and what a great jersey it is. It feels almost wrong for a Wild fan to not own one of these beauties. I do not feel like I need to say that much in regards as to why this is perfect for any Canadiens fan, I will say something of course. This is the Montreal Canadiens identity and has been since their first year in 1917 and that is insane. It feels like every single Canadiens fan owns this jersey and rightfully so. This is a fantastic jersey and should never be changed. This Predators jersey is the perfect jersey for a Predators fan. The Predators like their mantra of bold in gold and this fits perfectly with that because it also has a good balance of how much blue they use. 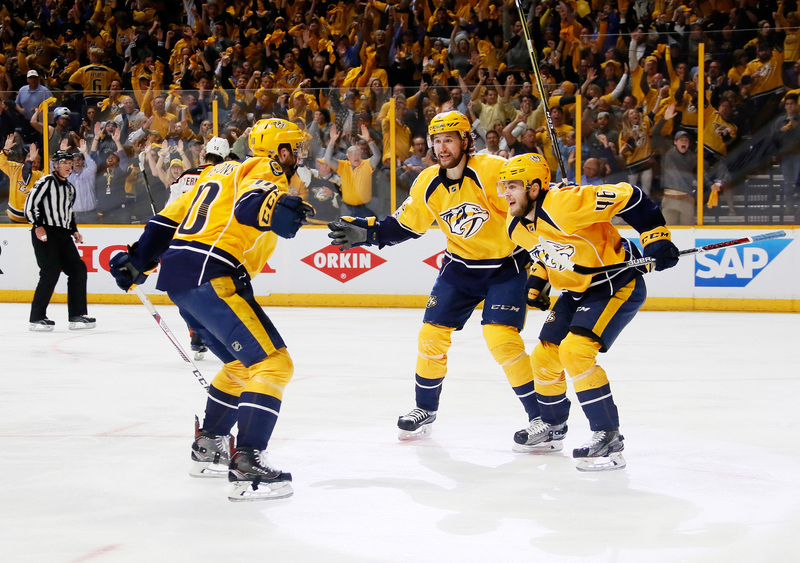 The Predators also play in the music city of Nashville, Tennessee. That is represented by the piano keys in the line of the collar and the guitar pick logo on the jerseys shoulder. It all just really flows well together. 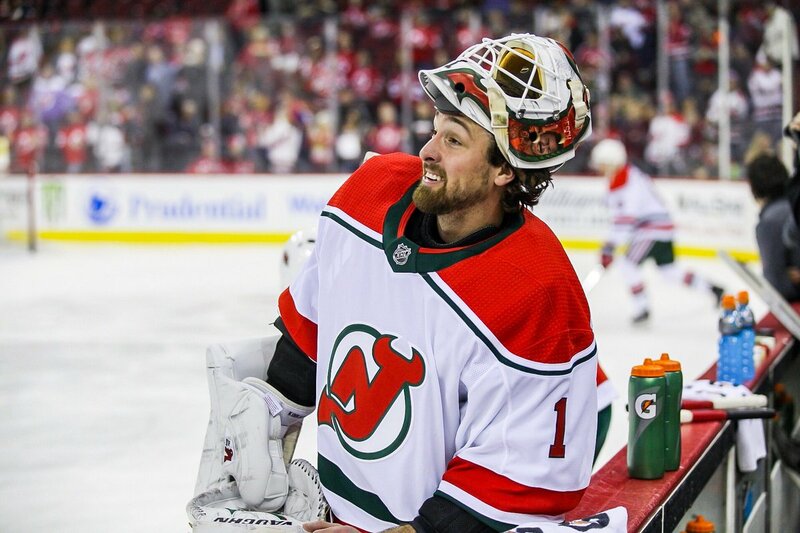 The New Jersey Devils brought back the red and green jerseys this year with a white base for their alternate and this is just what you need if you are a Devils fan. This throws it back to the early days of Martin Brodeur, Stanley Cup victories and many other great things in franchise history. It is also a very clean jersey with a bold color scheme. This jersey sends any Islanders fan back to their four consecutive Stanley Cup victories in the 1980’s. They donned these jerseys on home ice during those years. They also only ever hoisted the cup in the white jerseys, never the blue ones. Fans felt a bit of nostalgia when these designs were brought back and now they will have their chance to chase Lord Stanley’s Cup once again this season. These might be the most well known Rangers jerseys, they have not been worn since 2007. The reason they are so iconic and well known is because of the ties to New York City with Lady Liberty being front and center on the jersey. It is also an incredible design. This is a jersey that just feels like it should be owned by any and all Rangers fans. This is probably the cleanest design the Senators have had. The spartan logo on this jersey may be their best logo in team history and it fits really well with the black background that the Senators have strayed away from. The other great thing about this jersey is the shoulder logo that states when they were established by using a Roman numeral which just ties into the name. All in all, I have heard Senators fans say that these were their favorite jersey. This is great for any Flyers fan. The Flyers last two Stanley Cup wins were in 1974 and 1975. 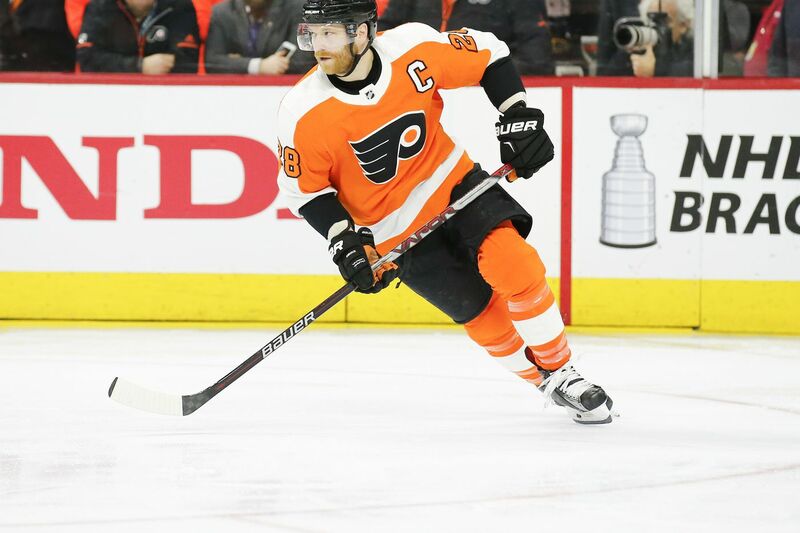 The reason I say these over the white version of this jersey is that all Flyers fans love the bold orange color that their team dawns, so yes, this jersey is quite perfect for all those Flyers fans out there. The powder blue Penguins jersey is one of the most loved jerseys league wide simply because of the base color alone. All around the league you hear people saying that they want to see this jersey make a return. When you watch a Penguins game you see a lot of powder blue in the crowd. A lot of Penguins fans own this jersey, but I think it should be all. This Blues jersey is one of the league’s best. The color scheme is gorgeous and proves it when you see it on the ice. The lighter blue with yellow and off-white striping patterns is already a great move, then you add the inside the collar design to it and it is just what the doctor ordered. The Blues fans love this jersey and so does the rest of the league. The Sharks stealth jersey is perfectly indicative of what a shark is, stealthy. Very often you do not see the Sharks coming, and then they get you. They make these incredible runs out of nowhere, they are always sneaky good, and no one ever talks about them as much as the other powerhouses. This is the best jersey a Sharks fan could have asked for. The Lightning for years was all about black, dark blue and white with a more complex logo. These jerseys are honestly the best Lightning jerseys and really feel like a Lightning jersey. It also ties in their 2004 Stanley Cup victory led by Vincent Lecavalier, Martin St. Louis, Brad Richards, Cory Stillman, and Nikolai Khabibulin. If you are a Lightning fan you should try and find this jersey. 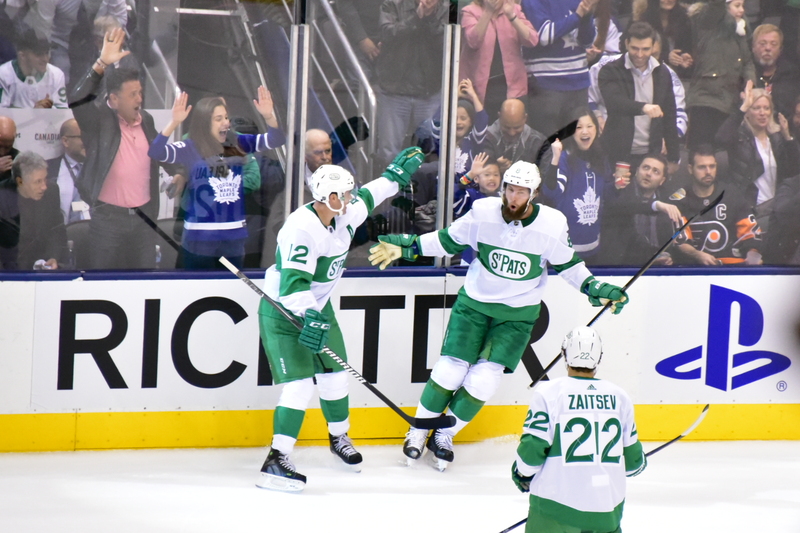 The Maple Leafs brought back the St. Pats jerseys with Adidas this year and it takes them back to the years 1922 through 1925. Often times we have seen these come back for the Leafs and they always look incredible. They are also always a favorite and should be a top priority for any Leafs fan. The skate jerseys are usually seen as the fan favorites. 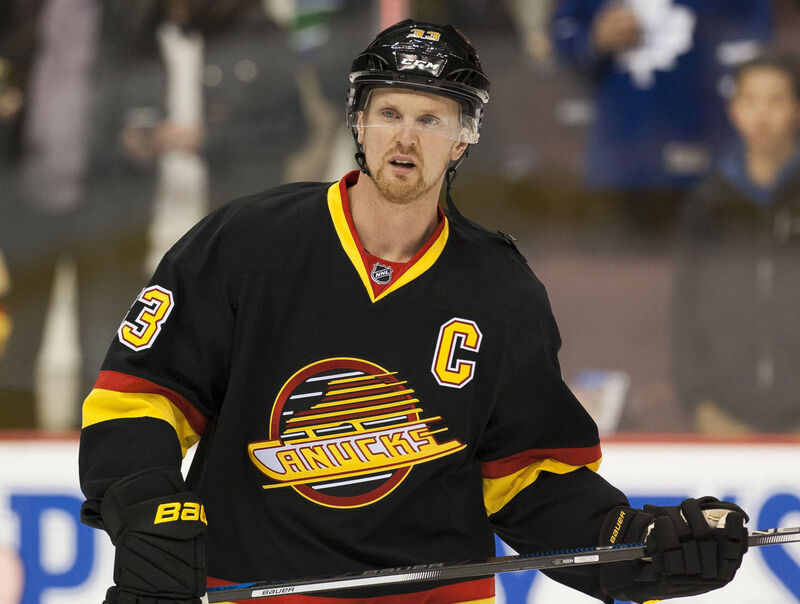 We will see them make a return next year for the Canucks as well as some kind of changes to their home and road jerseys and an alternate being added to the mix per the Adidas catalog. These jerseys had a bold and fantastic color scheme and I think if you are a Canucks fan this should be in your closet. The Golden Knights have been magical and especially were last year. The reason I think every Golden Knights fan should own this jersey is because of the fact that this is what they saw when they would go to their games in Vegas. It is also one of the most interesting and attractive home jerseys in the league with the unique choice of grey as the base color and the gold glitter striping as well as the black and then thin red striping. These are fantastic and unique, just like the city of Las Vegas. 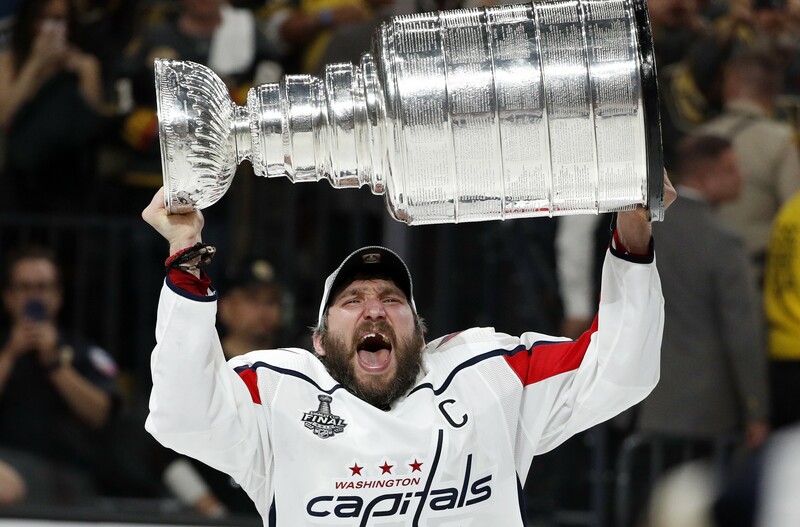 Capitals fans had been waiting a long time for their first Stanley Cup in team history, last year they finally got that. This was the jersey their team was wearing on that magical night and I think that is a perfect incentive to own one if you are a Capitals fan. These jerseys are very clean and the red goes really well with the white and the smaller hints of blue. The Winnipeg Jets have brought it back again and it is the perfect blend of the modern day Jets and the original Jets. The dark blue is today’s Jets, the red and the logo are the original, and the design is more modernized. These are possibly the best throwback jerseys in the NHL currently and should be used more often.